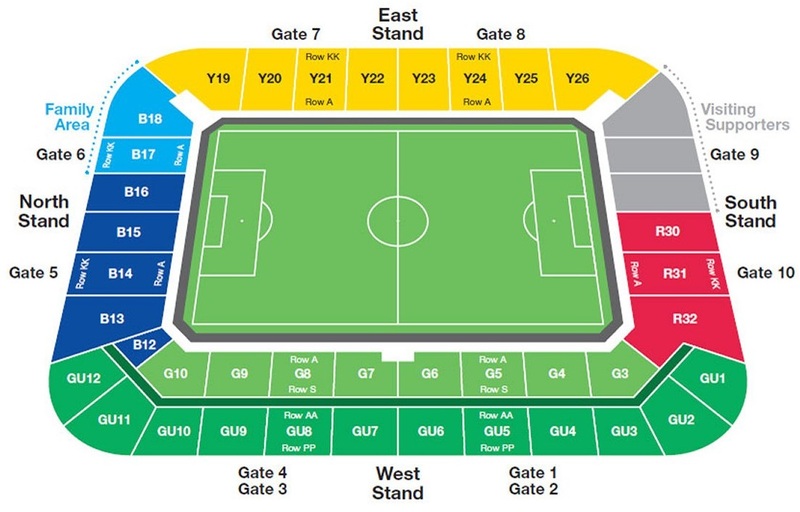 The Madejski Stadium has an all seated capacity in excess of 24,000. There are no bad views within the stadium and having only been built in 1998 it takes on a very familiar shape to a lot of other newish stadiums. A bowl-shaped arena with three single tiered sides and an extra tier on the main stand. Raidraig Curran tells me: the more vociferous fans tend to sit in the East Stand which runs alongside the pitch. Blocks Y25 and Y26 to be exact. Visiting supporters are situated in the Fosters Lager South Stand in behind one of the goals. A maximum allocation of 4,300 is available but rarely taken and the usual number is somewhere in the region of 2,250. The views from here are fantastic and facilities are very good as you'd expect from a relatively new stadium. Food is ok and priced reasonably whilst leg room is rather spacious. Post House, is about a 10 minute walk from the stadium, situated on the old Basingstoke Road, and is signposted from the second roundabout off the M4. You can also park there for £3 which goes to the Sports Foundation charity. Both home and away fans are welcomed and this makes for a lively atmosphere. The town centre has a variety of eating and drinking places. Overlooking the river in The Oracle are mostly restaurants and designer bars, whilst Friar Street has the usual range of Wetherspoons-type pubs. Fast food joint are scattered around the town centre in various places. Parking is available in the local area, though you'll need to be very early to take advantage of any street parking in the surrounding roads. The private car parks on the industrial estate are the preferred choice of many supporters with prices ranging from £5 up to £10 so it's worth looking around before deciding on one. The nearest / closest train station to Reading's Madejski Stadium is Reading. The railway station is about 3 miles away, and is a major rail interchange – also one of the most congested in the country! But there are plenty of buses to and from the station – get the number 79 bus from the station to the ground – this leaves from diagonally opposite the main exit from the station. After the match, these buses leave from the hill outside the ground and there will be substantial queues if you're not one of the first out of the ground. Worth remembering. Travel: I took the short train over from Cardiff (where I'm at uni) to Reading. I got there in plenty of time, but with no cash on me I had to make the 3-mile walk to the ground. The locals seemed quite friendly and helpful in pointing the way so actually finding my way wasn't too much trouble. Refreshments: I nipped into the pub at the station and as you'd expect on a Leeds away day, it was rammed with Leeds fans in good voice. Great atmosphere inside and an enjoyable experience. Facilities: The facilities were nothing special but at least the concourse was well sized and the toilets well kept. Again, nothing special but it lived up to general expectations. Didn't need to worry about leg room as Leeds fans stay stood up for the full 90 minutes but a word of advice for those near the back, it is a steep and long climb to your seat, prepare your legs for it. Exit: I had no problems getting away. There's no real feeling between the two clubs so there was no trouble outside. As a pedestrian however, it was difficult getting onto the main road because of all the busses passing in both directions meaning it took forever to cross the road. Enjoy: I generally enjoyed it. It was a good result, great atmosphere in the away end and nice and easy getting to and from. Probably best if your team has a large away following though as I can't imagine the experience being the same for a smaller following given lack of noise coming from the home fans. 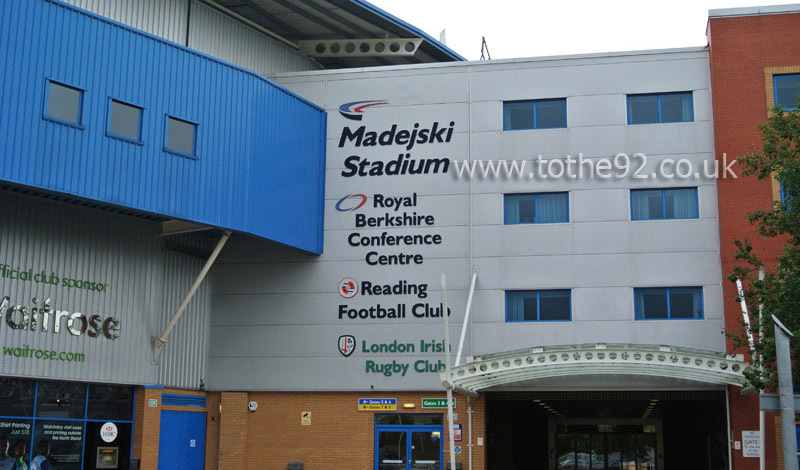 Have you been to Reading's Madejski Stadium? To tell us about your experiences and to feature on the site, simply complete the fans review form below!